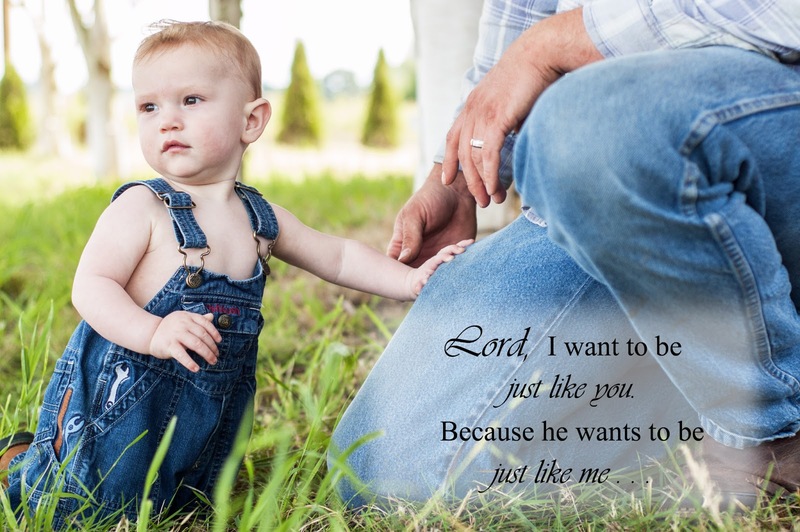 I saw an idea by Jenae at I Can Teach my Child for a Fathers Day photo. The picture was of two boys wearing ties and there were words put on the photo. It said Lord, I want to be Just Like You, because They want to be Just Like Me. So sweet, it made my heart melt. The great part is that I just finished up taking pictures of little Sammy and one of my favorite pictures is when Sammy crawled to his Dad and he is sitting at his Dad's side as happy as can be. I thought of this picture right away when I saw Jenae's idea. I made a few attempts at it. I wasn't sure how to make the faded box inside the photo so I turned it into an 8x10 format with a white background and added the words at the bottom. I had seen a stack of 8x10 frames at Lena's house (Sammy's Mom), so I knew this size would be good. Then I realized I had an empty 8x10 frame as well. I could not think of a photo of my boys right off the top of my mind so I started digging through files to jog my memory. That's when I came across this gem. Can't believe I forgot about this one. Jeff loves to cook, so this image combined with these words are just perfect! 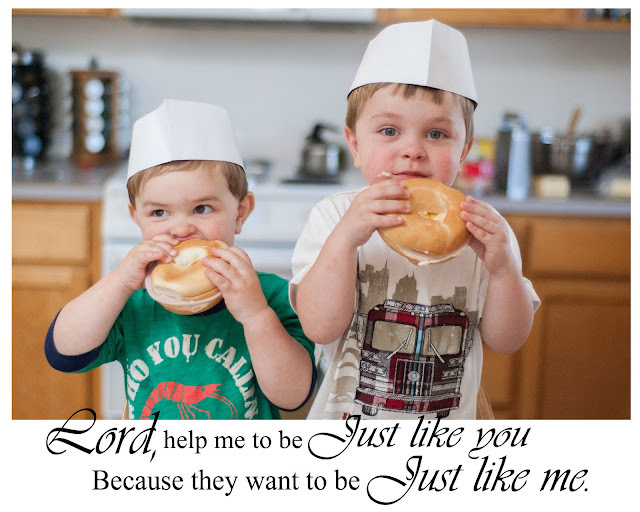 I changed the words slightly to : Lord help me to be just like you instead of I want to be just like you. Made it feel like more of a prayer which I liked. Since Jeff is not on Facebook I posted the picture of my boys and soon after got a call from a friend, Tobey. She has a little guy, 6 months old, and wanted to take secret pictures to make a print like this for her husband's first Fathers Day. The first one is the best! You will see Kaemon in a bit and his cheeks. I kept on trying to figure out the faded box and came up with this one. It is a slightly different image. Sammy's expression is more content then ecstatic. Just yet another edit. I faded the saturation and then adjusted skin tone and it gave it this really rustic look. I printed the first 8x10 formatted pictures for Lena and I and when they came in the mail Lena took hers home and showed her older children Matt's Fathers Day present. Her two older children are from her first marriage so Matt is their step-dad, technically. But the first thing her oldest, David, said was, I want one with all three of us to give to Dad. (Melts my heart yet again) I have met some amazing Step-Dads recently and am so in awe of the love they have for THEIR children because they are, their children (Brett, Tim & Matt, I'm thinking of you). So all of them stopped by my house and we just took a few quick pictures in my backyard. Since Lena already had the first print with the other quote she thought it would be a good idea to have a different quote on this one. She told me that Matt really enjoys the movie Courageous. I got online and started searching for quotes from the movie. This quote is from the final speech in the movie. Note the new font on the one of all three of the kids. 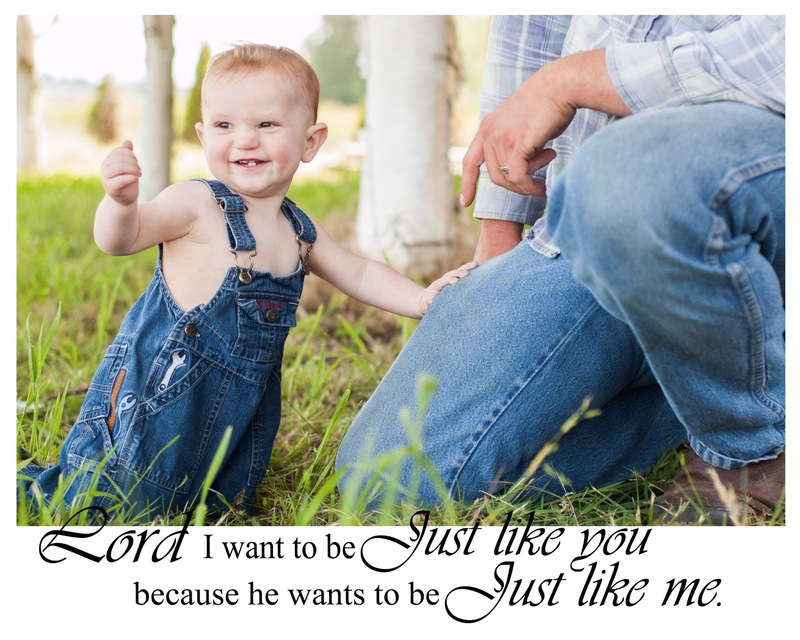 When I was working on Kaemon's pictures I posted one edit to a Momtographer group I am a part of on Facebook. I got some great feedback and one of them was to maybe pick a more masculine font since it's for Fathers Day. Then I was introduced to Dafont.com. You can spend a lot of time there. Be warned. I downloaded a bunch of new fonts. Poor Tobey, I put her through the ringer. I made so many edits and so many options for her to choose from. Which is so hard, because he is so cute. Let me show you. First attempt with 8x10 format. Figured out how to add color to the background and texture. I chose this picture because it was the first one to stand out to me. I asked Tobey to bring things with to the photo session that represents what Daddy does. Daddy, aka Jordan, is a drummer and currently a cadet training to be a police officer. So Tobey brought his drum sticks and a little play badge for Kaemon to explore. This was second attempt. Putting the words in the photo. Next Tobey chose this photo as her favorite for Jordan's Father's Day project. After a little help from the Momtographers. New font and split the quote. Still not sure if I like the look of the split quote I did one last one with it all together. Glad I didn't have to pick, poor Tobey. Since discovering the new fonts I also created a new watermark. Much happier with this one! The worst part about all of this . . . I couldn't share them on the blog or Facebook, until now. They had to be a surprise for the wonderful Fathers whom truly deserve to be celebrated this Fathers Day. So I want to officially say Happy Fathers Day to Matt, Jeff and Jordan! You are wonderful fathers. A lot of love went into celebrating you today. Wow! What amazing pictures and I love the sayings that go with them. Out of curiosity, what type of camera do you use? I am taking a photography class and am on the look out for a good camera (mine is quite old). Thank you! I use a Nikon D50. It is actually an older camera too but it works great. It's a good place to start. You can find them used in the $300 dollar range. Thank you! Yes, I was leaning towards a Nikon. This is good to know. I am a bit scared to purchase a used camera though. I will look into it. What do you use to edit your photos? I have been using free editing sites online and Google Picasa, but am not very happy with the colors when I print. Any suggestions? Rachel, it sounds like you are on the same path I am on. Buying from Craigslist would be a bit nerve racking. Here locally we have an amazing little camera shop that sells used cameras and takes trade ins. I would recommend looking for something like that. I bought mine off of a friend who is a professional photographer (she upgraded). I started editing in Picasa, then I wanted to do a bit more. I joined a Facebook photography group and asked the same questions you asked. Someone there recommended Gimp. It is a free download and has some very similar editing options to Photoshop. I was also not happy with my prints color. Too yellow. Did you know you can calibrate your monitor? I didn't. This helped and trial and error. For my birthday in February my friends and family got me Elements 11 which is an Adobe Photoshop program. Lightroom is another one. Rachel if you want to email me at dandelioninherhair at yahoo dot com I would love to answer any other questions you might have! 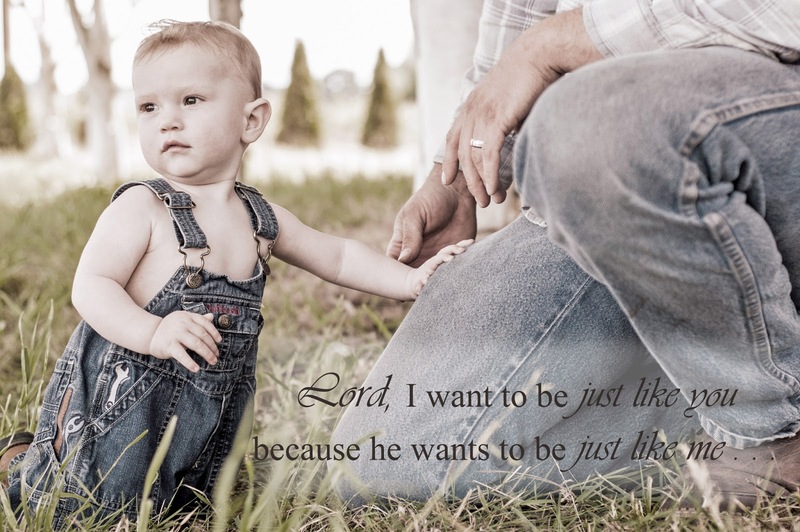 Beautiful quote and beautiful photography. I wish my two boys were tiny again so I could make one of these for my husband.